I’ve been looking at Ritual for some time. 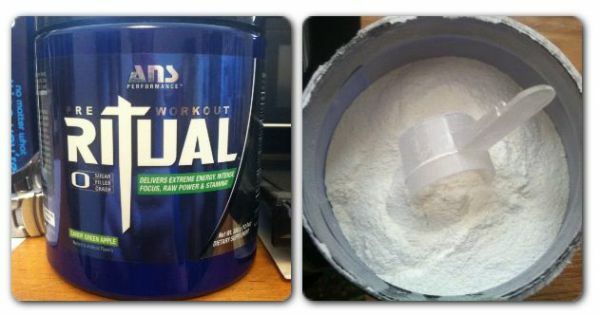 With DMAA getting pulled from all the Pre-workout, a few well known pre-workouts have turned to a replacement for DMAA. Dendrobium is what they are using. Dendrobium is an extract from an orchid from in places like China and other tropical Asian countries. When ANS Performance first started to promote Ritual there seemed to be a lot of Hype, but what supplement company doesn’t build up the hype to increase sales. Were they all fail is many don’t live up to it. ANS actually did a pretty good job living up to it. ANS hyped up Ritual so much. That sites like bodybuilding.com sold out in the first week. Back to Dendrobium, Dendrobium has been used in the past for increasing Hydration, Energy and improved mood. From what I read beforehand, Dendrobium has been shown to be just has good as DMAA, but with no crash and better focus without the jitters. Dendrobium has been shown to lower blood pressure, increase blood sugars and reduce pain. Unlike DMAA which has been proven to raise Blood pressure and increase the risk of a seizure. One last thing about Dendrobium, unlike other Stims that your body adjusts to and don’t seem to affect you in the same ways. How many times have you used a Pre-workout and the first week was great, but after that it never seemed to have that same punch. Dendrobium has a slower tolerance build up. Which means it will continue to give that same punch long after others would have died off. Astragin is another ingredient that isn’t being seen a lot, but I bet it’s going to be popular soon. It is one thing to just dump some ingredients into a tub, but if you can increase the absorption rate of them that’s even better. Astragin has been clinically studied to help arginine absorption by 62%. Just 60 milligrams of Astragin a day will increase absorption levels of nutrients such as amino acids, vitamins and protein. Astragin is an important addition to Ritual. It allows you to get everything out of the product by giving you better use of the other ingredients. Better absorption rate means you get what you actually pay for. OK enough of the “What they say it can do” and let’s get into what I found. I ordered the Candy Green Apple. I’ve always liked Candy Apple flavors. I read a review on BB.com that it tasted just like a Jolly Rancher. Well they were wrong. The flavor is more like green apple and not so much like Candy. I wish is had more of a sweet & sour flavor, but it’s not bad over all. I have had a lot worse. Now how did it mix all up? The powder is so fine just a couple of shakes and it was mixed. No floaters, no chunks sinking to the bottom and no gritty residue. Now the most important part of this whole write up. How did it perform? I started off at one scoop. That one scoop kicked in faster then what I thought. So I had to adjust my timing to about 10min before getting to the gym. So it would kick in towards the end of my warm ups. I have used many pre-workouts that have had a great start and would give a huge boost of energy during my warm ups, but about the time I was right in the middle of my core sets. It would wear off and I could start to feel the crash coming. With Ritual I never got the huge instant crazy jittery feeling all at once. The effects seem to increase with my workload and never run out. What do I mean by increase with my workload? It seemed like when I was on my last rep or the weights got heavy. I was always able to power through and grind out one more rep. I was even able to nail a couple of Personal Record singles in squats. I was doing some reverse Banded Squats with Mini reds. I did a set of 405x8 followed by 455x2 during the 2nd week. By the 4th week, I nailed 475x1 and a 495x1. At this time 455 was the heaviest I have had on my back before. I didn’t see a near 500 squat in my future anytime soon, but now I know it’s right around the corner. I’ve been pushing it to about 1.5hrs and it lasted. The BA tingles are seen, but they are not that intense. I tried bumping up to 2 scoops for a week. Wasn't too much difference, but it was a little. I backed it down to 1.5 scoops and that seems to be the sweet spot for me.